Pauline Frederick Reporting is the biography of the life and career of the first woman to become a network news correspondent. After no less an authority than Edward R.
Unfortunately, due to sales rights restrictions, we cannot offer Pauline Frederick Reporting for sale in your country. 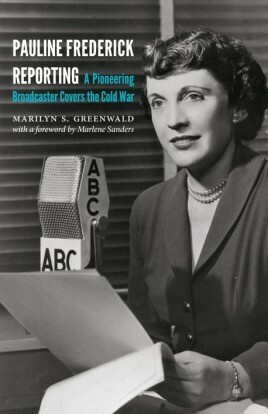 Pauline Frederick Reporting is the biography of the life and career of the first woman to become a network news correspondent. After no less an authority than Edward R. Murrow told her there was no place for her in broadcasting, Pauline Frederick (1908-90) cracked the good old boys' club through determination and years of hard work, eventually becoming a trusted voice to millions of television viewers. In Frederick's nearly fifty years as a journalist, she interviewed a young Fidel Castro, covered the Nuremberg trials, interpreted diplomatic actions at the United Nations, and was the first woman to moderate a presidential debate. The life of this pivotal figure in American journalism provides an inside perspective on the growth and political maneuverings of television networks as well as Frederick's relationships with iconic NBC broadcast figures David Brinkley, Chet Huntley, and others. Although Frederick repeatedly insisted that she would trade her career, glamorous as it was, to have a family, a series of romances ended in heartache when she did indeed choose her work over love. At the age of sixty-one, however, she married and attained the family life she had always wanted. Her story is one for all modern women striving to balance career and family.